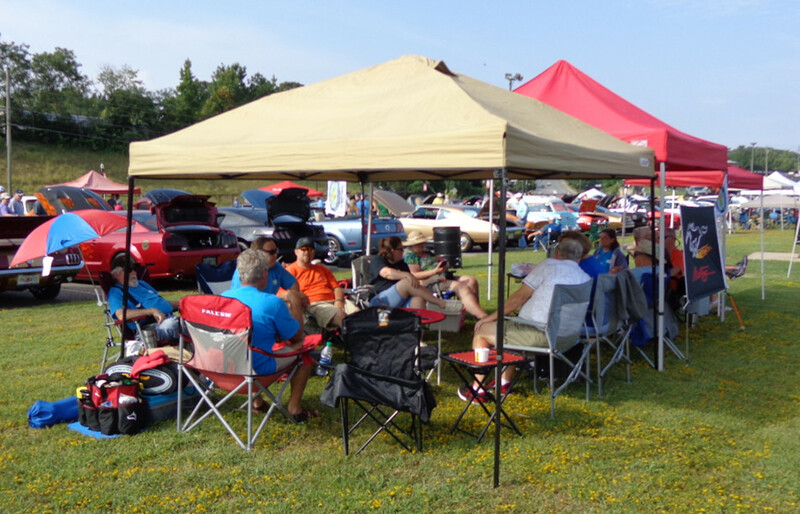 The NE Georgia Mustang Club will be caravanning to Atlanta Motor Speedway to attend Summit Racing’s Motorama. Details on the caravan starting point and time will be posted here within the next couple of weeks. This is a two day event that will feature a number of interesting event and exhibits through out both days. Several of our club members have reserved motel rooms at the Hampton Inn Atlanta in McDonough located at 250 Avalon Court. Come join us for one or both days! 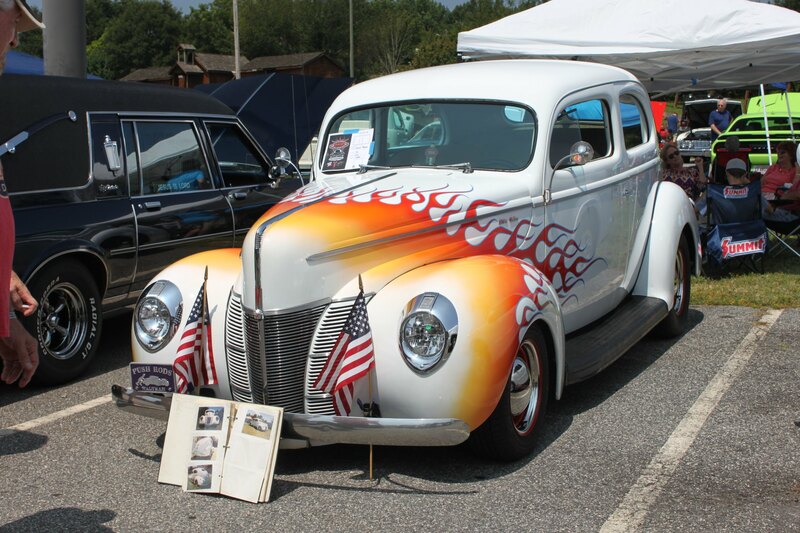 Atlanta Motorama Motoring Festival at Atlanta Motor Speedway, Car Show, Car Corral, Swap Meet & More. 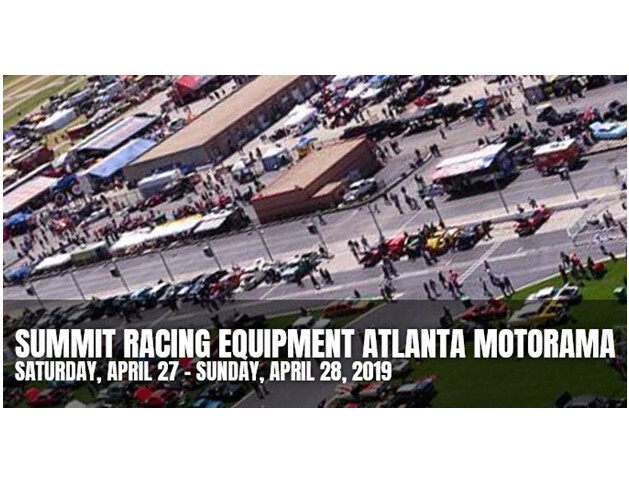 The Summit Racing Equipment Atlanta Motorama, the massive celebration of anything with an engine, has grown into one of the largest festivals of its kind in the South. From hot rods to rat rods to motorcycles, to monster trucks, there is something for everybody – and then some – at the annual two-day event. 2019 tickets are affordably priced at $15 per day, $20 for a weekend pass, and free for kids ages 12 and under and include access to all areas of the show including the vendor midway, show car garage, extreme motorsports and so much more. Purchase your tickets in advance or at the gate the day of the show! Spectator entrance is located at Gate 13 & 15. 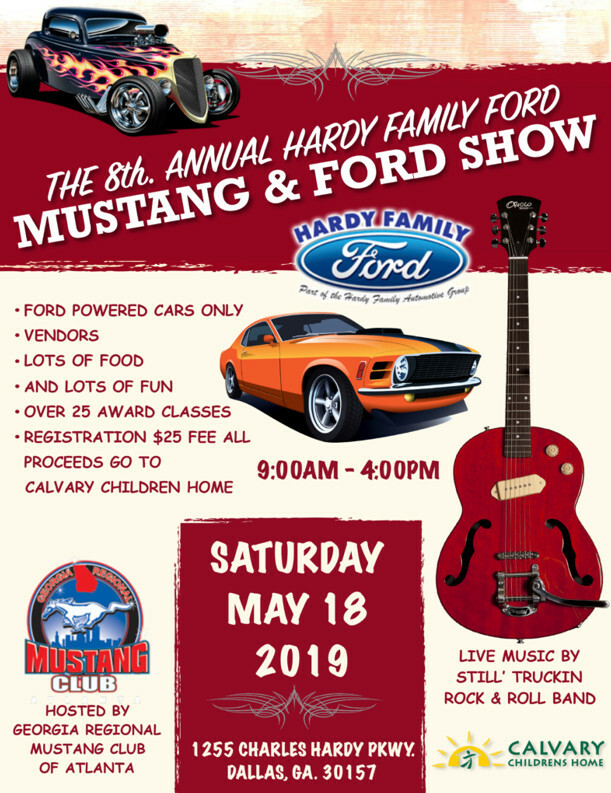 Come out and join us as the NE Georgia Mustang Club travels to Georgia Regional Mustang Club’s 8th Annual Hardy Family Ford Mustangs and All Fords Show. Details on the caravan starting point and time will be posted here soon so check back often! It is April and Car Shows and Cruise-In events are breaking out all over. Here are a few selected Car Shows and Cruise-Ins for you to consider with more Car Shows and Cruise-Ins added as they are announced. For additional information on the following Car Shows and Cruise-Ins check the calendar on the upper right side of this page. Bold print indicates your NE Georgia Mustang Club’s participation in that Car Show or Cruise-In. NE Georgia Mustang Club members can earn points toward NEGMC’s President and Prestige awards at those selected shows. May is here and we are headed to the time where we will be looking for shade at the Car Shows and Cruise-In events. Here are a few selected Car Shows and Cruise-Ins for you to consider with more Car Shows and Cruise-Ins added as they are announced. School is out and the Summer Car Shows and Cruise-In events are beginning. Here are a few selected Car Shows and Cruise-Ins for you to consider, more Car Shows and Cruise-Ins will be added as information becomes available. Here are a few selected July Car Shows and Cruise-Ins for you to consider, more Car Shows and Cruise-Ins will be added as information becomes available. Here are a few selected Car Shows and Cruise-Ins for you to consider during the dog days of August, more Car Shows and Cruise-Ins will be added as information becomes available. 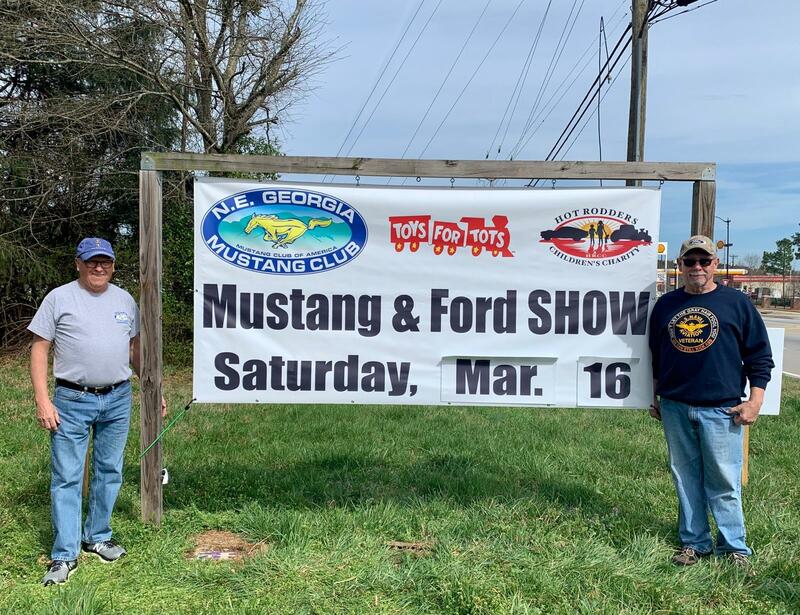 Thanks to everyone who attended the NE Georgia Mustang Club’s Spring Pony Round-Up Car Show on Saturday (03.16.19) of this past weekend. Thanks to YearOne for providing the great facility and support for our Car Show and to the many volunteers that made the show a rousing success. There were 120 great looking cars entered into the show with around the same number of cars parked in the spectator lot. 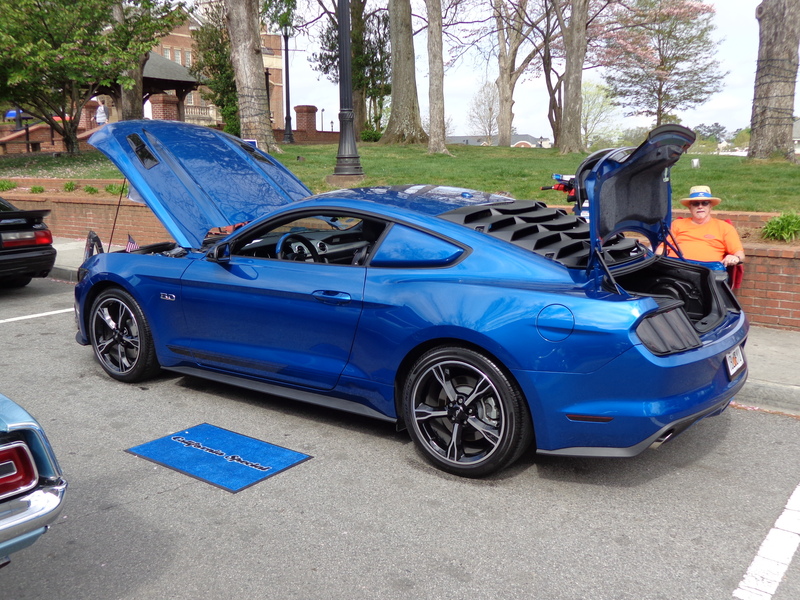 If you were at the NE Georgia Mustang Club & YearOne Spring Pony Round-Up Car Show, take a look at the Galleries Page you may find a picture of your car among the many pictures Ronn Lippman recorded. A great turnout for the NEGMC’s first Car Show at this location, we look forward to an even larger show in 2020! 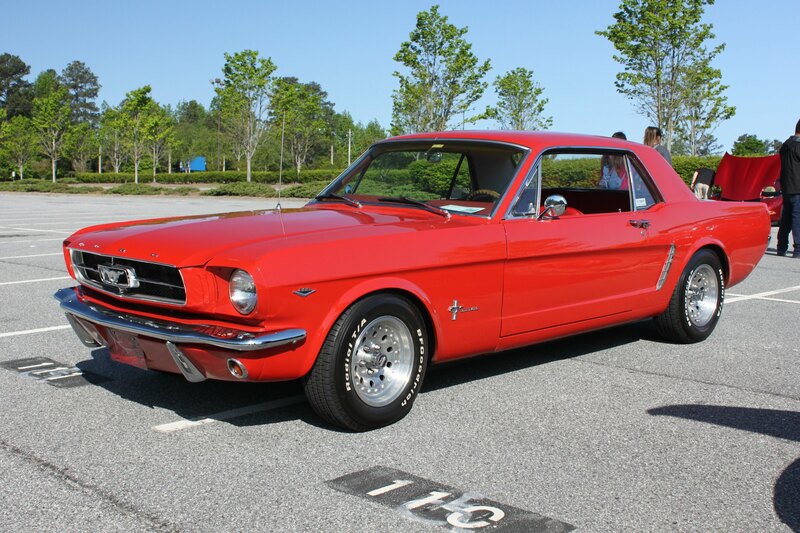 The weather was perfect for Saturday’s Georgia Regional Mustang Club’s Toys for Tots car show that was held at Tidwell Ford in Kennesaw. There was a great turnout of all types of Ford vehicles for everyone to look over. 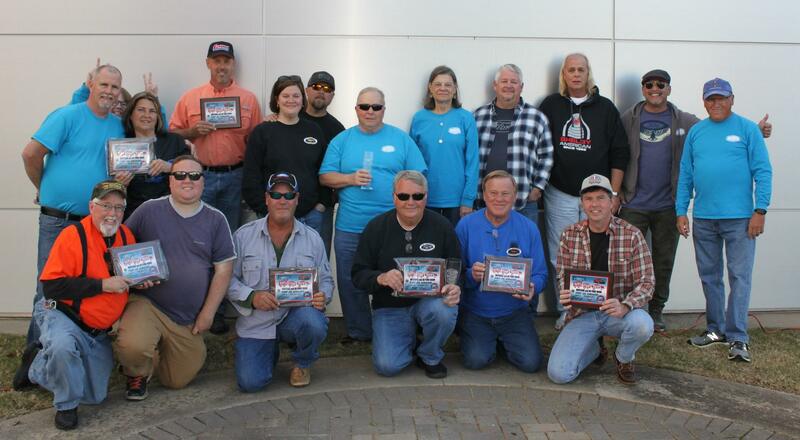 Your NE Georgia Mustang Club received the Club Participation Award with 12 club vehicles attending. 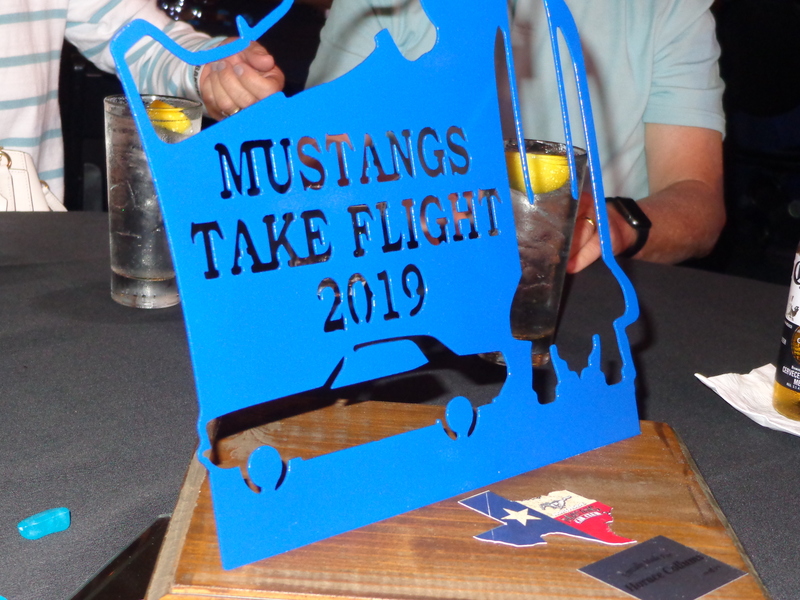 Congratulations to Richard Rider for being awarded the trophy for Best Mustang Paint and to all club members who took home a Top 25 Award. 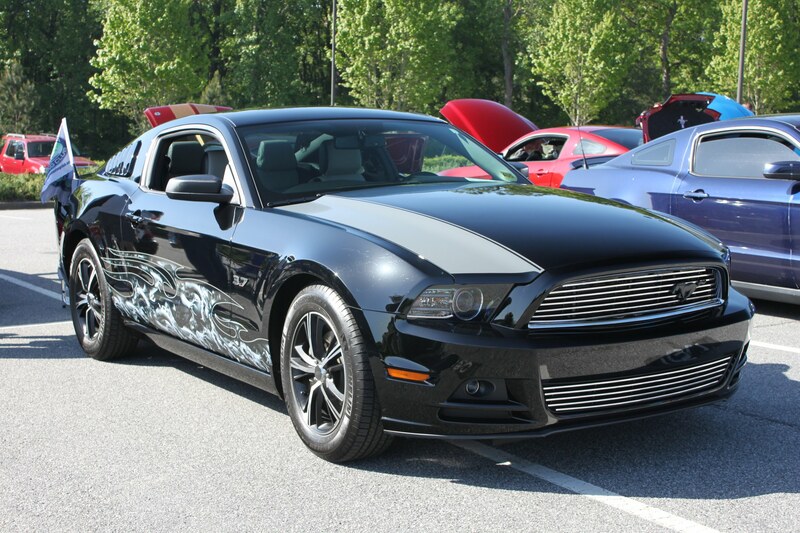 To see more pictures from the Toys for Tots Car Show click on the following link to visit NE Georgia Mustang Club’s Galleries page.